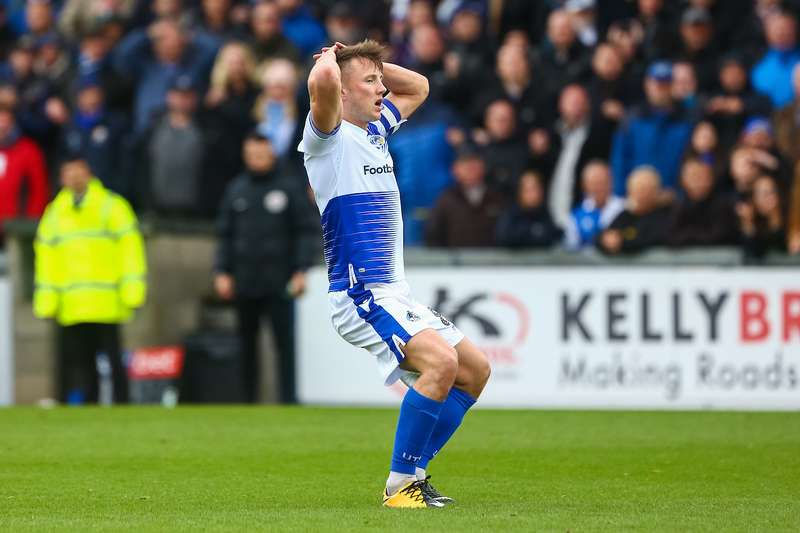 Ollie Clarke had the best of the chances for Rovers in the contest, as the midfielder saw a close-range effort cleared off the goal line in the first half and tested Liam Roberts from distance during the closing forty-five minutes – as Rovers almost found a late winner as a free-kick from Sam Matthews bounced off the post. Into the line-up came Daniel Leadbitter, Joe Martin, Gavin Reilly and Tom Nichols – as the attacking duo of Nichols and Reilly were deployed for the second home fixture in a row. Lines’ delivery into the box proved to be a constant avenue for Rovers to mount the attacking play. A set-piece from a wide right position was whipped into a congested six-yard area, as Ollie Clarke broke free to head towards goal – but the close-range header was touched wide as the ball flew sailed wide. Rovers returned for the second half, they enjoyed an early prolonged spell of pressure inside the Walsall half. 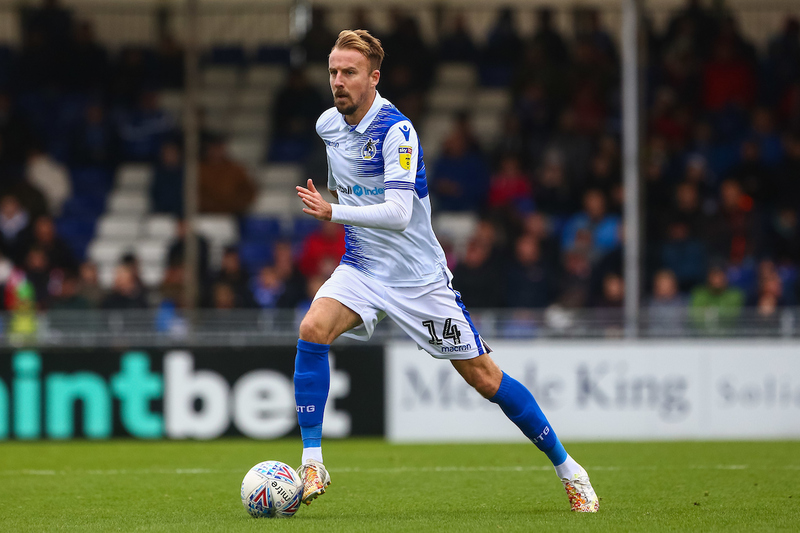 A series of sidewards passes from the attacking players constantly shifted the Walsall defence – as the phase of the play ended in Tom Nichols bending a right-footed shot that held its line as it bounced wide of upright. Matthews was immediately involved, as a bursting run forward saw the winger edge the ball to Gavin Reilly on the fringe of the Walsall area, but the striker’s eventual shot was blocked and deflected away from goal. The substitute didn’t have to wait long for his next involvement as a low cross from the right from Daniel Leadbitter picked out the winger, who couldn’t steer his first-time effort towards the goal to test Liam Roberts. Rovers XI: Jack Bonham (GK), Daniel Leadbitter, James Clarke, Tony Craig, Joe Martin, Ollie Clarke (c), Chris Lines, Stuart Sinclair (78′ Sam Matthews), Kyle Bennett (56′ Liam Sercombe), Gavin Reilly, Tom Nichols (56′ Alex Jakubiak). Walsall XI: Liam Roberts (GK), Luke Leahy, George Dobson (c), Jon Guthrie, Nicky Devlin, Andy Cook, Zeli Ismail (73′ Kieron Morris), Josh Ginnelly, Liam Kinsella, Morgan Ferrier (45′ Josh Gordon), Jack Fitzwater.